RANCHO CUCAMONGA, CA. 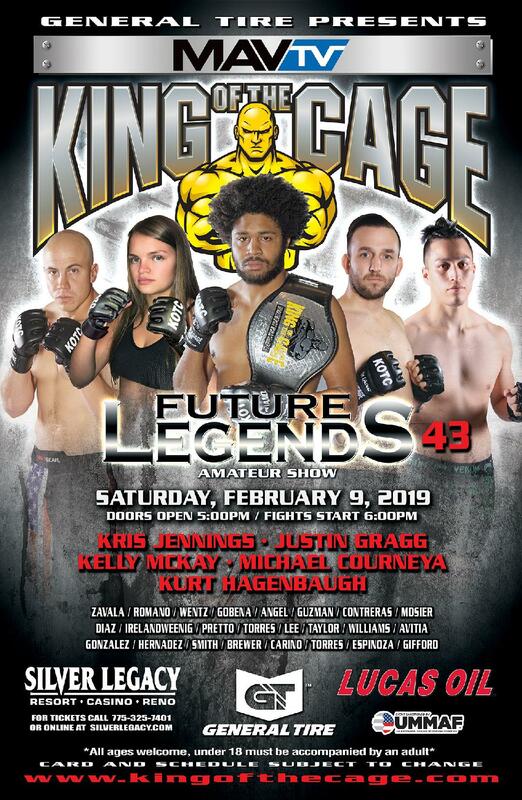 (November 28, 2017) – King of the Cage returns to WinnaVegas Casino Resort in Sloan, Iowa on Saturday, January 13, 2018 with a nationally broadcast event headlined by a Lightweight World Title fight featuring Blaze Gill vs. Jake Adams. 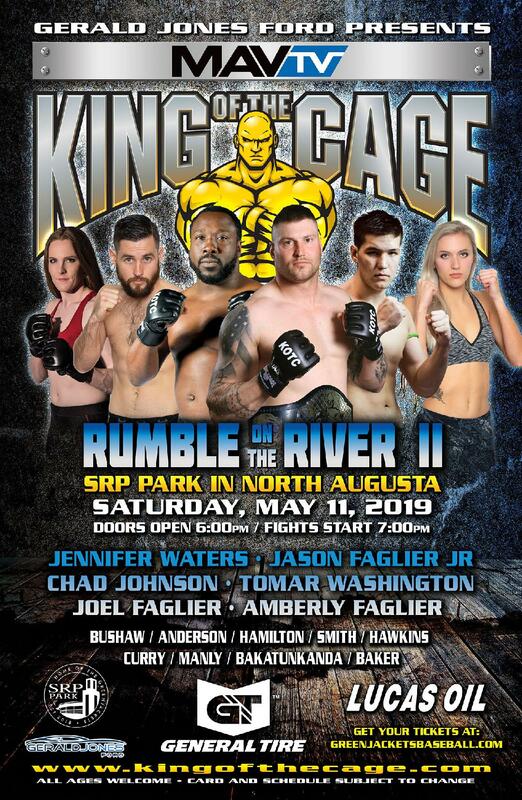 One of the co-main events will be a Welterweight battle between Kyle Angerman vs. Frank Shuman. The other co-main event in the Women’s Atomweight division will feature Andy Nguyen vs. Katie Saull. Blaze “The Inferno” Gill, Sioux City, Iowa (One Combat Academy) vs. Jake “Break” Adams, Wyoming (Team Wildman). Gill is undefeated in both his professional and amateur career, including impressive KO’s in his last two fights. Gill was one of the seven professional contract winners at the 2016 KOTC World Amateur Championships held in Las Vegas. Adams is coming off an impressive first round KO victory. 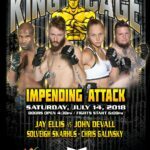 Kyle Angerman, Des Moines, Iowa (Des Moines MMA) vs. Frank “Nightmare” Schuman from Lac Du Flambeau, Wisconsin (Pura Vida BJJ). Angerman is undefeated in both his professional and amateur career, including each of his victories coming in the first round. Schuman is one of the top ranked Welterweights. Andy “The Crasian” Nguyen, Myrtle Beach, South Carolina (Karate Mafia) vs. Katie Saull, Winnipeg, Canada (Winnipeg Academy of MMA). 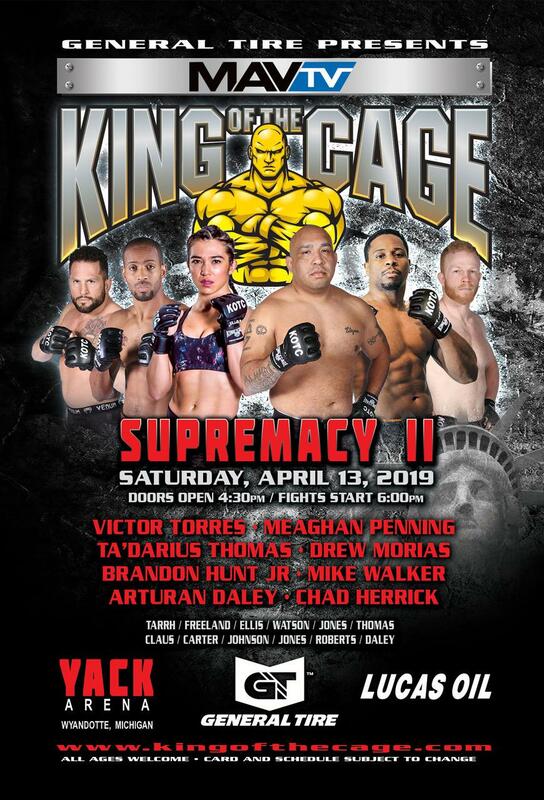 Nguyen is the former KOTC Atomweight World Champion and one of the top ranked women fighters pound for pound. Saull, in her last fight, won impressively with a first-round submission. 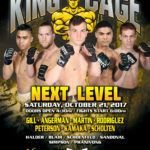 Drako Rodriguez from Sioux City, Iowa (One Combat Academy) vs. TBD. Rodriguez recently made his professional debut with a first round victory, after having an undefeated amateur career. Rodriguez is also one of the 2016 KOTC World Amateur Championship professional contract winners. Reserve seating and Ringside tickets on sale soon. For more information, please visit www.winnavegas.com or call (712) 428-9466.